CAS member Prof. Dr. Christoph Mauch teamed up with Prof. Dr. Helmuth Trischler to offer a guided tour of "Welcome to the Anthropocene. The Earth in Our Hands", a major exhibition at the Deutsches Museum in Munich that traces the collective imprint left by humanity on the planet. The exhibition was conceived and designed in conjunction with the Rachel Carson Center. Christof Mauch, its director, was also the spokesperson of a past CAS Research Focus on "Waste in Environment and Society". 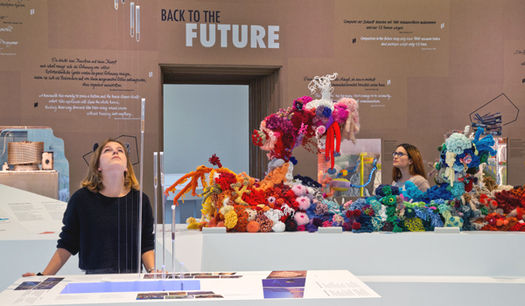 Deutsches Museum – Special Exhibition – "Welcome to the Anthropocene"